Larry Hoffman ruined my Holy Days! Now that’s an attention getter! I have to admit it’s only partly true – well maybe not true at all. To be honest, it’s something that Hoffman wrote that ruined my holy days. While referring to ethnic Judaism in his recent book “Re-Thinking Synagogues,” he writes, “Jewish ethnicity is ‘doing what comes naturally,’ but with no transcendent purpose.” The phrase “no transcendent purpose” has haunted me and caused a serious review of Rosh Hashanah and Yom Kippur. This year I judged all my actions based on the question of whether or not there was some transcendent purpose. Was the action somehow connecting me with God? I was surprised by how often the answer was – no. It’s time for the family service. I ponder, “does that mean that the regular service is not for families?” All of my children have been in the “special” class for advanced Sunday school learners. This means they’ve all participated in leading the family services over the years. I’m thrilled that this is the last one of these I have to endure – my youngest serves his last year in the “special” class. The service is the same as in years past – some of the High Holy day liturgy sprinkled with kid-friendly songs, most of which are loathed by the kids who have heard them more than once. The rabbi tells some stories. I look up on the bima to see my youngest son struggling to stay focused and participatory. He knows it’s important for him to participate – but he really hates it. People often remark that High Holy Day services are too long, too boring, irrelevant, without meaning, etc. Shimon Apisdorf even wrote a book called the “Rosh Hashanah Yom Kippur Survival Kit.” With all due respect to Rabbi Apisdorf, why do we have to “survive” the holy days? Why aren’t we reveling in them? I’ve heard these remarks for years, sometimes from rabbis. But, other than a handful of innovators on the coasts, I’ve not seen anyone do much about it. What is it that has us convinced that we cannot change? And particularly, what is it about the High Holy Days that makes the rituals sacrosanct? I’m not a sociologist or trained observer (although I was an anthropology major in college!). I do love to watch people and what better place to watch Jews than in synagogue. Like all “good” Jews, I went to synagogue for the High Holy Days. While I think the High Holy Days liturgy is wonderful and the machzor is filled with some magnificent poetry, I was bored. So I watched. The rabbi announces a page number and states that “now we’ll recite a beautiful medieval poem that’s arranged in reverse, Hebrew acrostic. “Wonderful” I said to myself – no one understands the Hebrew and it sounds just like the forward acrostic poem we just chanted, and like the one that will follow this one. Isn’t one beautiful poem enough – why do we have to do a full day’s worth? I remember my days of leading services, looking out over the congregation as the cantor was chanting, and thinking to (convincing) myself that inattentiveness is just human nature. Now being a part of the congregation and experiencing the distraction and downright boredom I believe I was rationalizing. It’s amazing how few people really pay attention for any extended period. I respect and appreciate those who are in fervent prayer. Most attendees seem desperate to find something else to do. The hallways are forever filled with people chatting and socializing. This used to drive me crazy – how dare they come to the synagogue, on the most holy days of the year no less, and kibbutz with their friends. In truth, we drive them to it. Maybe there in the hallways are where the transcendent moments occurring – where, in Buberesque manner, people are connecting with each other and with God? Several times, both before and after the holydays I mentioned, somewhat provocatively, that I don’t like the High Holy Days. OK I admit it, I was fishing for startled reactions and I got them. What usually followed my ‘invitation to speak candidly’ were streams of criticism of the High Holy Day experience. Some admitted that while they attend and follow the “rules” of the period they neither understand much of the meaning nor find the traditions uplifting or spiritual. In good Jewish-guilt fashion though, they trudge on doing what they always do, in many cases what their parents did and their parents before them. Sadly, one converse to those attending synagogue are those who have given up – they refuse to attend. One young woman commented that she just doesn’t get it anymore and while she identifies herself as a committed Jew, she will neither fast nor attend services this year. The one ritual that still has meaning for her is tashlich, because it’s simple, tangible, and makes sense to her. During one of my Yom Kippur hallway wandering times I stop by the teen service in the chapel. I hear the din even before I get down the hallway. At first glance I think they must be taking a break. They’re actually reading the Torah, or at least the guest cantor and her gabbaim are reading the Torah. Everyone else seems totally disengaged. The cantor glances up periodically to throw evil-eye glances at the congregation. I don’t think any of them catch these – at least they don’t react to them. What do we do? I find myself in the same predicament as many Jews who want, need, something new and different. This year I gave myself permission to try something new. That in itself was no easy feat. To deviate from “tradition” is difficult for Jews. We think we find meaning in tradition but as Rabbi Hoffman reminds us, tradition is often confused for ethnic longing, a “nostalgic yearning for Jewish folkways.” Ethnicity is “doing what comes naturally, but with no transcendent purpose.” I don’t find this sustaining and posit most Jews don’t either. The rabbis of the Talmud created a concept called hilkheta k’vatraei, the law follows the latest generation of authorities. It’s time to empower new authorities! This year I decided I needed meaningful ritual – something I could share with my family. After discussing it with my wife, we decided to focus the holy days on our family relationships. While I thought it might be contrived or hokey, the results were wonderful. We began erev Rosh Hashanah with “services” at home. Anyone with a machzor can do this. We went through the evening’s liturgy, passing readings from person to person, discussing them while we read them. Instead of two hours in schul it took about twenty minutes! Then everyone got four sheets of paper. On each, we wrote at the top, “If I’ve harmed you in any way this year I’m sorry.” Each of us then came up with at least one specific thing for which we wanted to offer an apology. While it lasted only a few short minutes, the silence was deep and tangible. Each of my children (16, 13 and 12) studiously followed the instructions. We gave the paper apologies to each respective person with the idea that the receiver would accept or not accept the apology by Yom Kippur. I can’t say that all were 100% diligent about this but it led to a week’s worth of communication with my children and my wife that I will remember for a long time. I hope they do too. And I hope this is a new tradition for our family. While it was a small step, all my children commented that they got more out of the few hours we spent together in prayer and connecting with each other than they did at synagogue. I’m not sure if this is a testament to our new family ritual or the remoteness of synagogue! I wish I could say we were as innovative for Yom Kippur, but the “shoulds” prevailed. We attended Kol Nidre, which I still find moving and meaningful. But this year at our pre- Yom Kippur meal we talked about the meaning of Kol Nidre. The conversation was deep, fun and moving. If it sounds like I’m advocating the end of High Holy Days services, I’m not. For some people I believe there is enduring meaning in following the paths of our predecessors (even if those paths only go back a few hundred years). I am advocating that Judaism needs to offer choices. While I don’t like the idea that religion has to be consumer driven, The High Holy Days has to meet people where they are. We need to give ourselves permission to experiment and innovate – and sometimes fail. If we don’t offer new choices, many Jews will make the choice for us by choosing not to – not to attend, not to question, not to seek a meaningful expression of their Judaism. That’s a failure I cannot endure. Entry filed under: Judaism, Synagogue Studies. 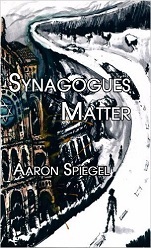 Tags: prayer, ritual, Synagogue Studies. What There Is to Say	Ann Who?